We love short reviews! This video is less than one minute. 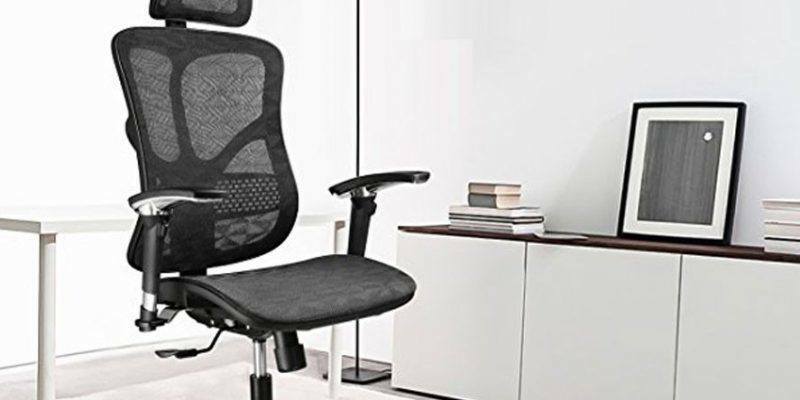 The Argo Max ergonomic office chair features a 3D Armrest (forward and backward rotating, up and down adjustment) and has a versatile range of motion. It uses breathable-nylon materials. You can adjust the tilt tension and seat height, as well as rotate the chair 360°. The back adjusts a full 135° and features and s-type shape for more comprehensive lumbar support. This chair also has what they call a life pillow, which is simply an adjustable headrest. I typically don’t use headrests though this is not a common feature for ergonomic chairs. The chair comes unassembled. You’ll need about 10 minutes to put the pieces together with a few screens and bolt. You get all the tools you need plus some extra screws! If you are under 6’4″ this chair should fit you just fine. Check on the latest pricing on an Argo Max ergonomic office chair.